Are you confused with bunch of VMware products? They just don’t offer core virtualization software and it’s not easy to be familiar with every product of VMware. What happens if the customer request you, to design a solution with NSX, SRM, vRrealize suite then you may find difficulty to join these products and make sure they can deliver client requirements. You may request Dev/Test setup to simulate these products but may not have sufficient Infrastructure to validate the designs. Don’t worry, VMware understand this challenge and brought the concept of VMware Validated Designs (VVD’s) which are proved/verified designs by bunch of VMware Engineers and reduce time to deploy it. SDDC brings additional complexity as you need to properly stitch bunch of products to deliver final outcome. VMware Validated Designs provide a set of prescriptive documents that explain how to plan, deploy, and configure a Software-Defined Data Center (SDDC). VMware Validated Designs are tested by VMware to ensure that all components and their individual versions work together, scale, and perform as expected. Unlike Reference Architectures which focus on an individual product or purpose, a VMware Validated Design is a holistic approach to design, encompassing many products in a full stack for a broad set of use case scenarios in an SDDC. This VMware Validated Design supports a number of use cases, and is optimized for integration, expansion, Day-2 operations, as well as future upgrades and updates. As new products are introduced, and new versions of existing products are released, VMware continues to qualify the cross-compatibility and upgrade paths of the VMware Validated Designs. Designing with a VMware Validated Design ensures that future upgrade and expansion options are available and supported. 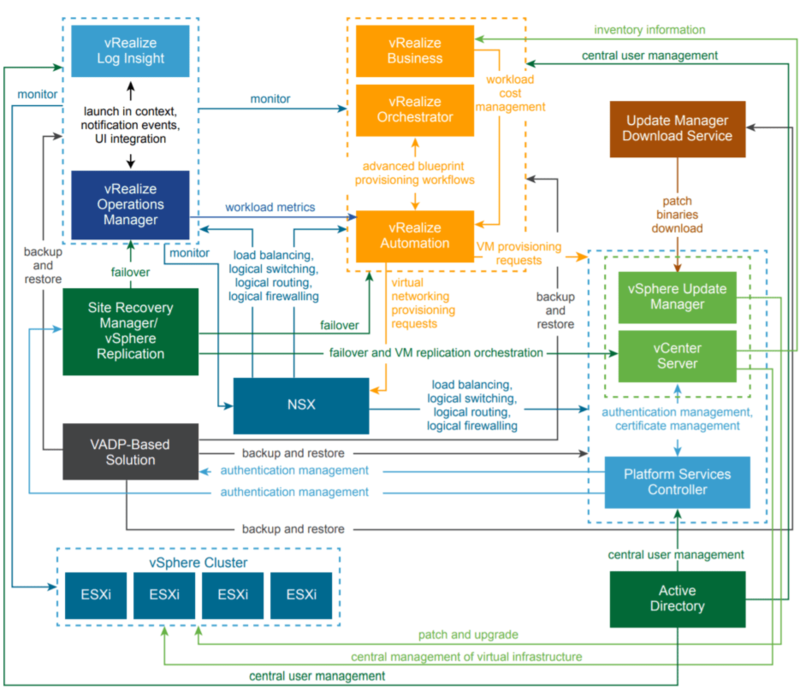 What’s New in the VMware Validated Designs? Introduces a new – optional – Consolidated Architecture that reduces the IT footprint of smaller deployments in single region by consolidating management components, workloads and edge into a single cluster. Delivers a new bill of materials (BOM) to ensure interoperability with the latest VMware software releases. New BOM supported with the Standard Architecture and the new Consolidated Architecture. A complementary architecture to the VVD for SDDC to provide detailed design for all management components in a remote office or branch office deployment. VMWorld 2017 – Pivotal Container Service (PKS) is this Game Changer?What is Zerto Virtual Replication 5.5?